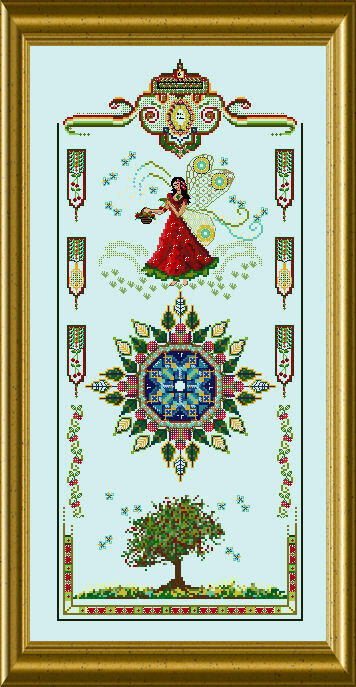 This is the third in the series of 4 seasonal Fairies. 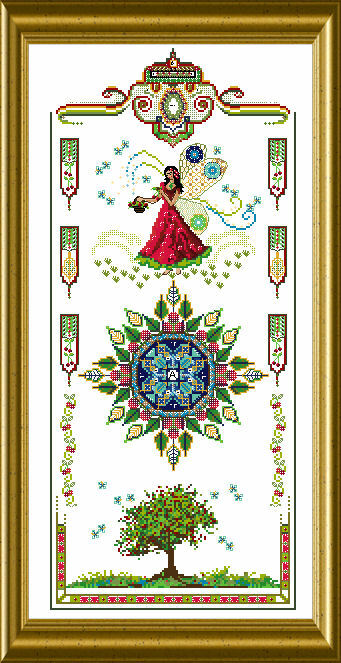 A pretty frame pulls all the elements of this Band Sampler together – a beautiful Fairy with lots of sparkle, an ornament in bright and sunny Summer colors and a tree with green leafs and ripe fruit. 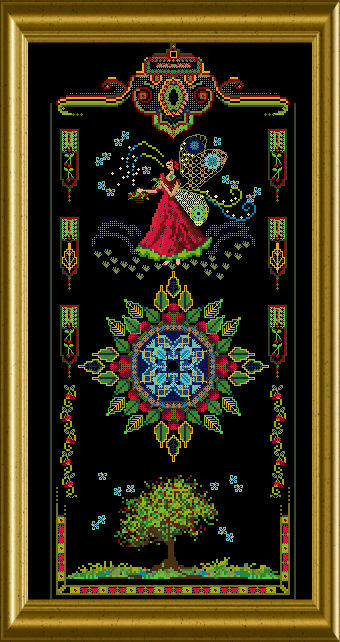 You will use a variation of interesting threads, beads and crystals and add Special Stitches to the normal cross stitching. 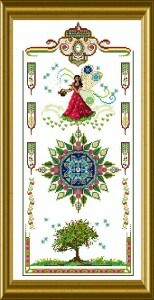 The mere design size is 123 x 281 stitches.